Miller Scrap Removal is here to help! We want to help you clean out your basements, closets, and storage areas. Bring us your old computer equipment, appliances, or other scrap metal. We will properly dispose of everything so that none of it is deposited in landfills. We love the Fox Valley and we want to maintain this beautiful part of the country we call home! Call 920-379-2517 for a free metal removal consultation or schedule a meeting to discuss the matter. Hire us for safe, fast and professional metal disposal! You can rest easy, knowing that we are on the job and fully bonded, licensed, and insured! Today there are over 250 million computers in use the United States alone. That means nearly 80 percent of Americans are currently using a computer. On top of that, the EPA estimates there are as many as 300 million out of use computers, which are currently being stored in closets and basements across the country. That is more than one computer in storage per person living in the United States! Most computer users don’t realize a desktop computer and monitor are made up of over 1,000 different elements, many of which are highly toxic. 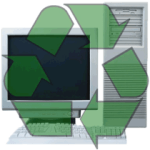 Although computers are completely safe for use as they were intended, it is in their disposal that they become harmful to humans, animals, and vegetation. Some EPA reports estimate as much as 70% of Mercury contamination in ground water comes from electronics in landfills. A typical desktop computer and monitor contain 8 pounds of Lead. Some of the most toxic substances used in computers are products developed to save users through flame retardant materials. These chemicals act as an endochrine disrupter in humans and the amount of chemical evidence in breast milk has been doubling every five years. Incinerating or landfilling computer junk is already causing great harm to the environment. If the millions of units in storage enter the waste stream, we will be facing an ecological disaster. To make matters worse, computer life is getting shorter. In 1997, most computers were made to last approximately 5-8 years. This was due in large part to the significant cost posed in owning a personal computer. In 2005, product life has become as short as 2 years for some users. Often times it is more cost effective to replace a unit rather than upgrade or repair it. This means millions more units are being put out of use each year. That’s not all we do! Are you fed up with all the junk and debris you have and all the hassles you have with getting rid of it? It’s hard enough to figure out where to get a dumpster or even what size you need. Finding someone to help haul it all away can be even harder. Plus everyone wants to do their part to recycle all reusable materials. Worry no more, Send Us a Message. 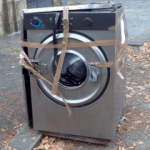 We provide commercial and residential junk and trash removal services. 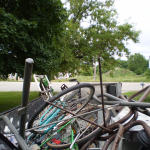 We remove and haul junk in the Outagamie, Calumet and Winnebago County area. We are a full service metal removal company in Menasha, Wisconsin. We remove just about anything metal. All qualifying items are recycled or donated. Call for a pickup or quote!